Maybe you’ve heard of that band called !!!. Like the title to Pootie’s new hit single, it’s a name that is sure to give radio disc jockeys the world over pause. Most of us (especially us, being comics afficianados and enthusiasts) are familiar with the concept that their name implies, but !!! is really not something that can transition into spoken language very smoothly. The accepted pronunciation is “chk chk chk” although I guess the official word is it’s open to interpretation. 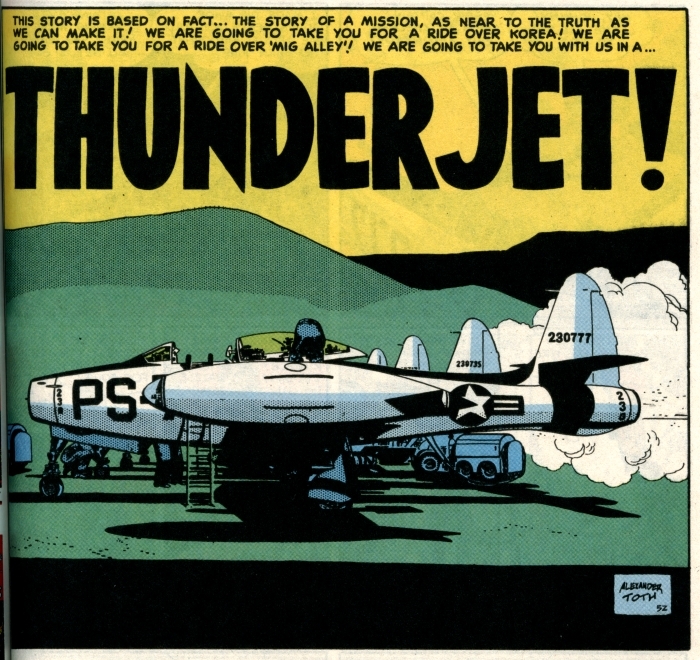 “Thunderjet,” 1952. 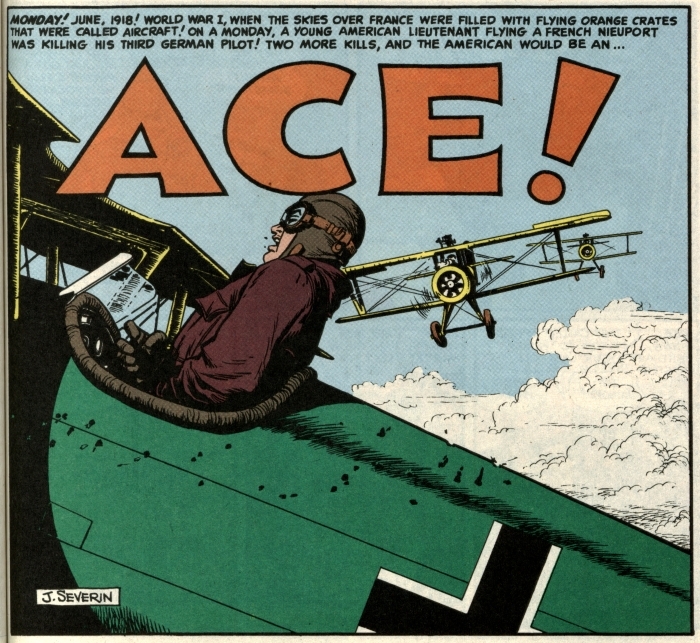 Written by Harvey Kurtzman and drawn by Alex Toth for FRONTLINE COMBAT #8. 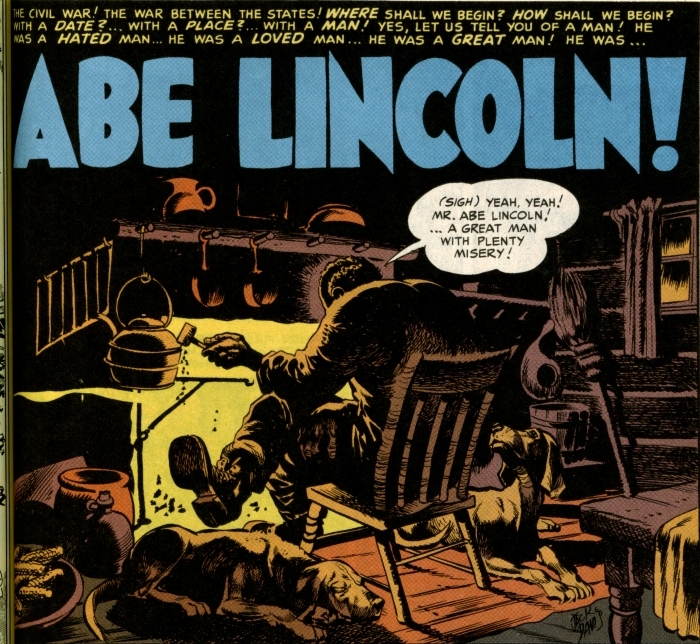 “Abe Lincoln,” 1952. Written by Harvey Kurtzman, drawn by Jack Davis for FRONTLINE COMBAT #9. Every now and every then, I remember that the perfect North American comic books are the 1950s EC Comics. MAD was the best, but EC’s line included a lot of wonderful specimens of comic bookery.